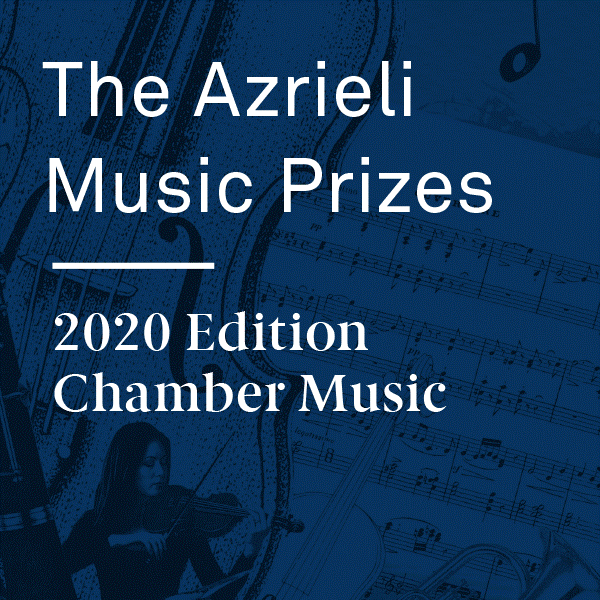 In announcing the call for submissions for the 2020 Azrieli Music Prizes (AMP), the Azrieli Foundation is now offering the largest composition prizes in Canada. An exhilarating evening of musical discovery, unveiling two world premiere works by the winners of the 2018 Azrieli Music Prizes. Inventive orchestral colour and virtuosic flair are on display for Israeli-born composer Avner Dorman’s Nigunim for Violin and Orchestra, while Canadian composer Kelly-Marie Murphy explores a wealth of Sephardic music in her En el escuro es todo uno (In the Darkness All is One). The Azrieli Foundation is pleased to announce the soloists for the Azrieli Music Prizes Gala Concert on October 15, 2018 at 8:00 pm at Maison symphonique de Montréal. The concert features two major works for chamber orchestra by the winners of the 2018 Azrieli Music Prizes (AMP), two biennial $50,000 awards offering opportunities for the creation, performance and celebration of high quality new Jewish Music. The new works will be performed by the McGill Chamber Orchestra (MCO) led by Guest Conductor Yoav Talmi. Tickets are available for pre-sale starting today via the Place des Arts box office at placedesarts.com. The Azrieli Foundation is proud to announce that composer Avner Dorman is the winner of the 2018 Azrieli Prize for Jewish Music for his composition, Nigunim for Violin and Orchestra. The $50,000 cash prize is granted biennially to a composer who has written the best new major work of Jewish Music, and is accompanied by a world premiere gala performance and a professional recording of the prize-winning work. Despite our relatively small population, Canadian music is well, alive, strong, and fascinating. Here are 10 innovative composers redefining the future of Canadian classical music. The Azrieli Foundation is proud to announce that composer Kelly-Marie Murphy is the winner of the 2018 Azrieli Commission for Jewish Music.